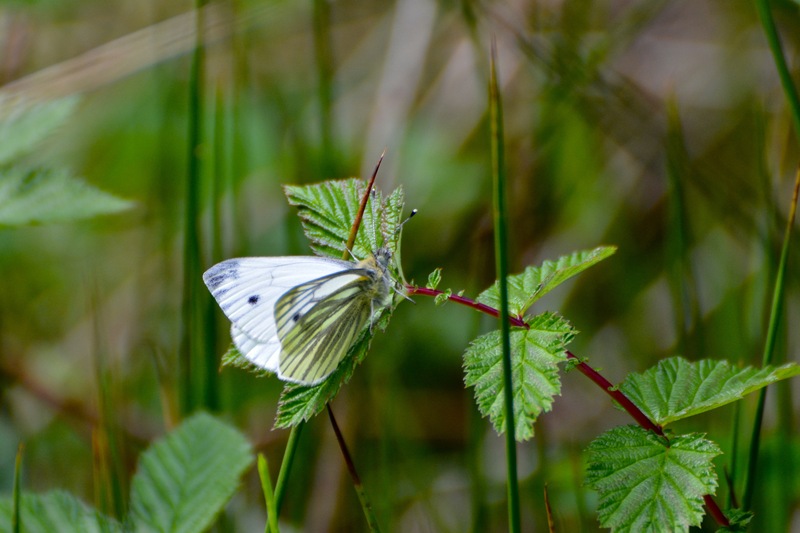 Butterflies like the Green Veined White are out in numbers, and some Brimstone’s have arrived, but the little Blue’s and Fritillaries are no where to be seen. 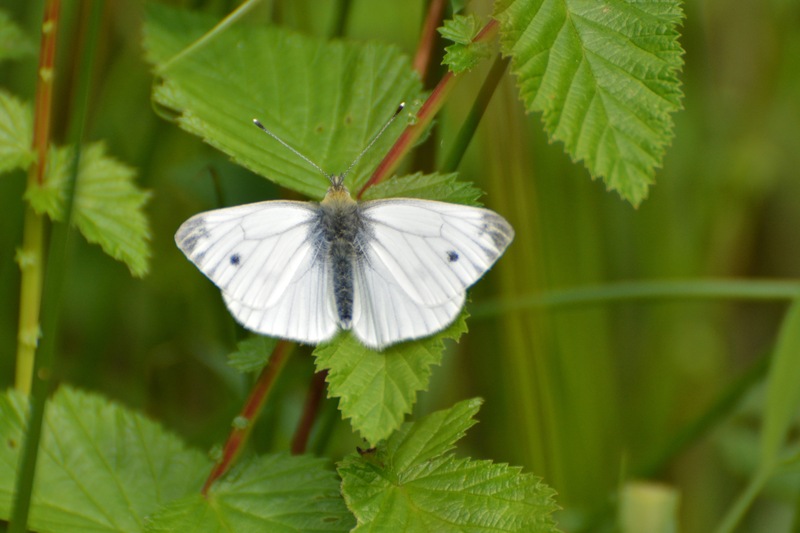 It is a while since I have seen any Green Veined Whites so I am delighted. 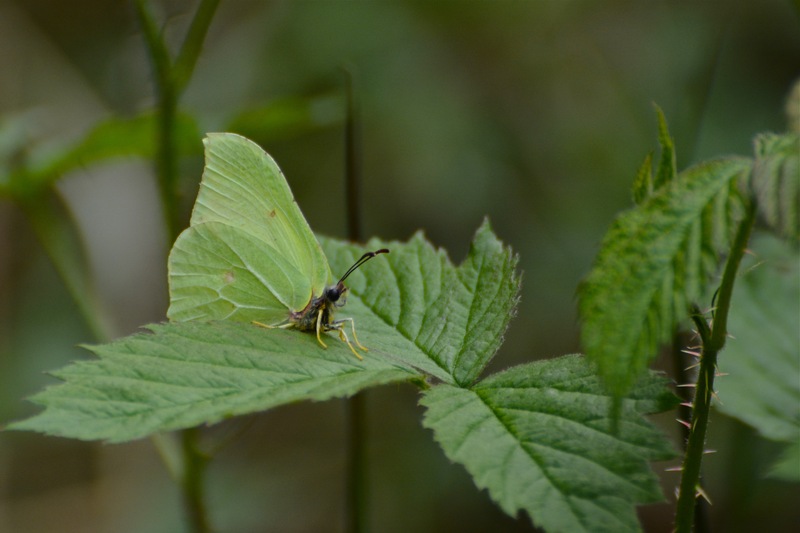 The Brimstone blends in so well – sometimes I am don’t not see them until they rise up just in front of me. 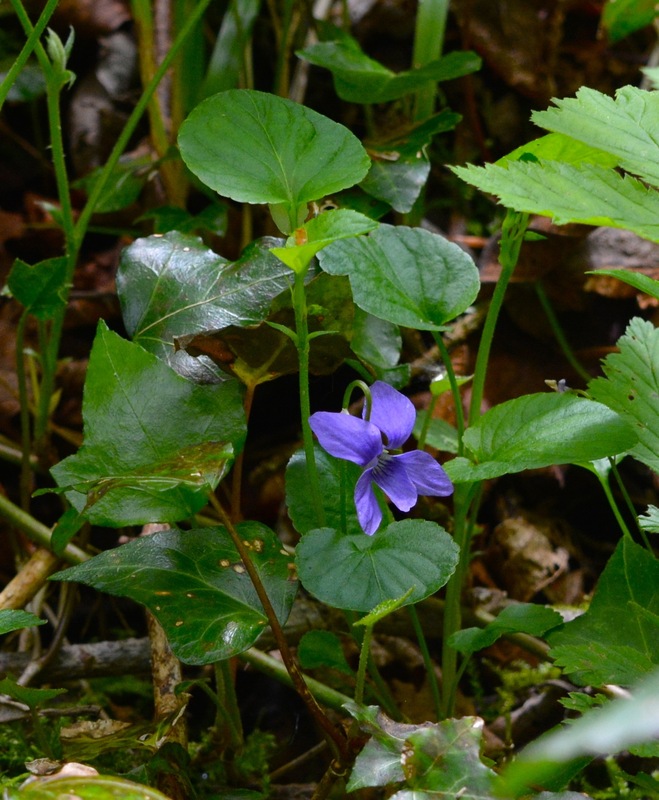 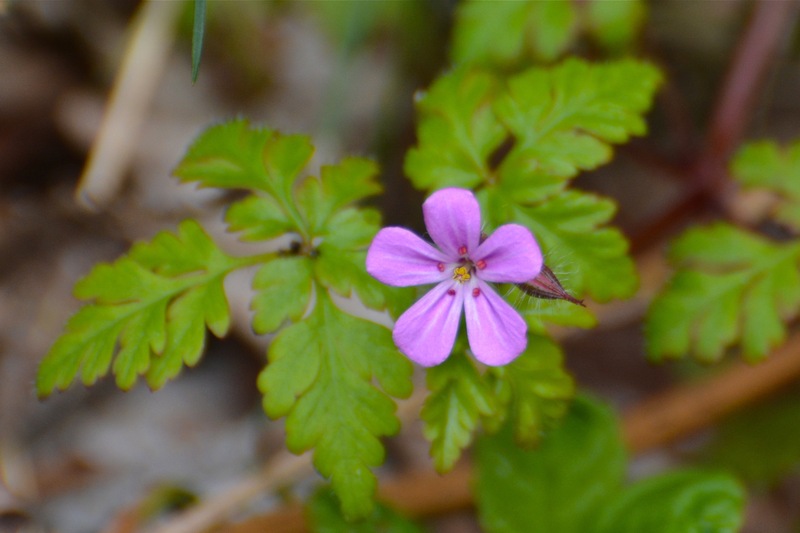 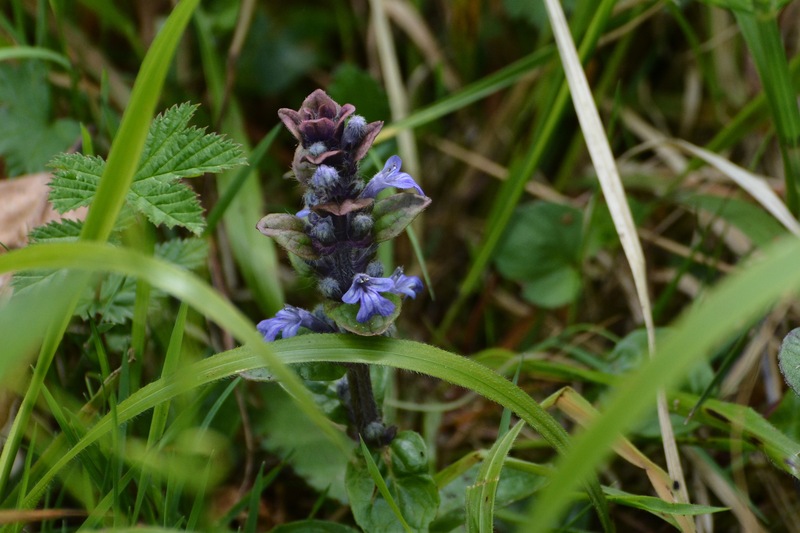 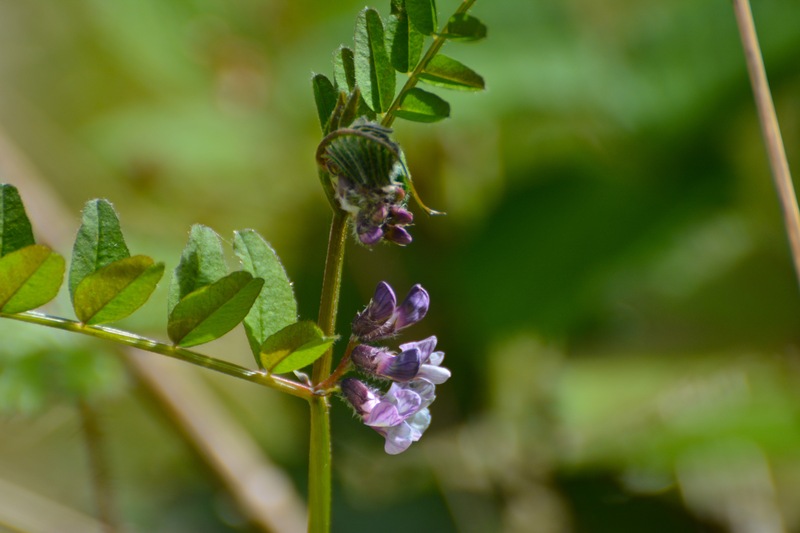 Spring flowers like Lady’s Smock and violets, vetch and the purple Herb Robert are out. 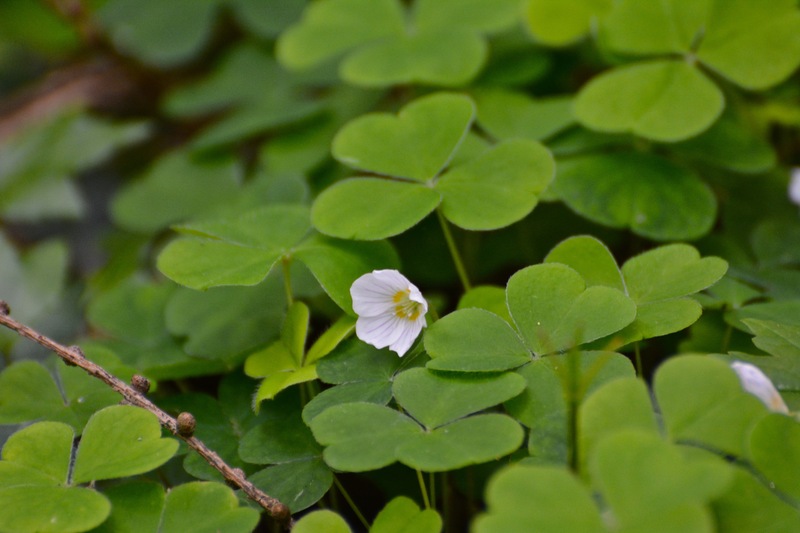 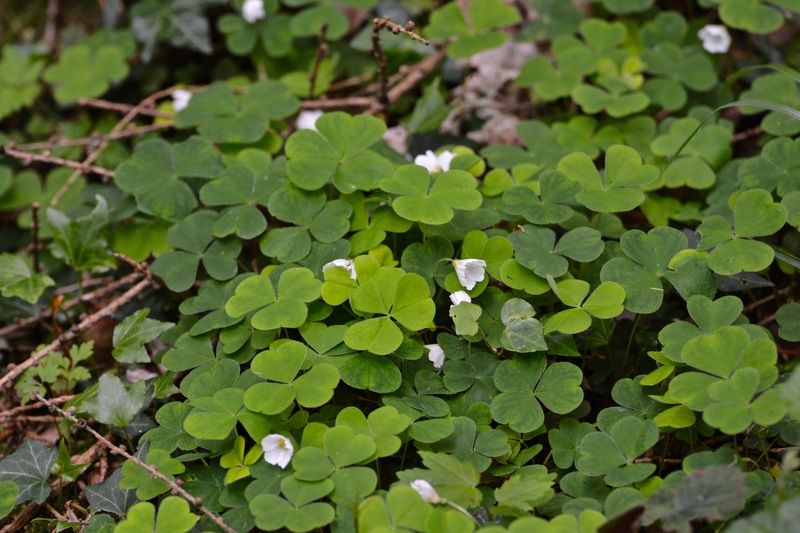 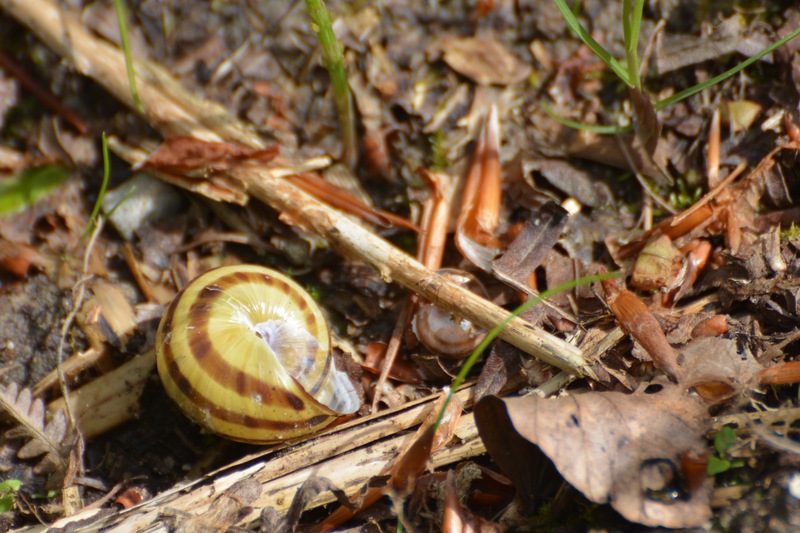 Parts of the woods are carpeted with Wood Sorrel – a tiny white and bell-shaped flower. 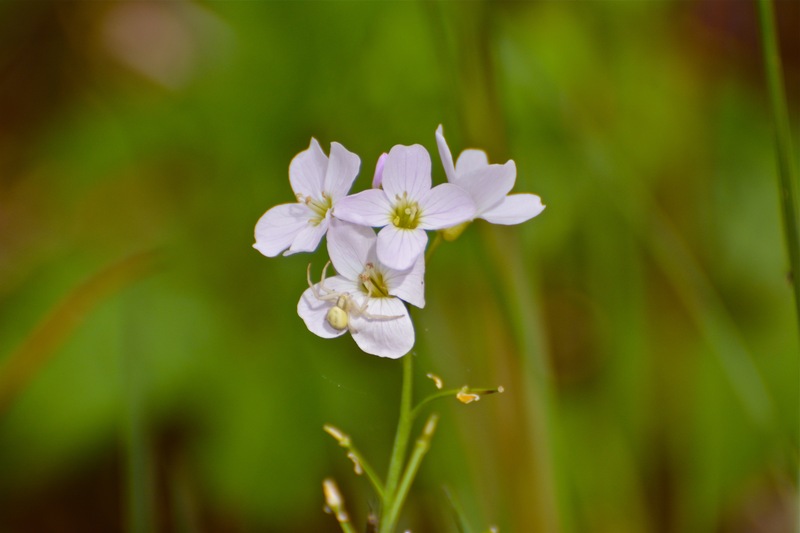 Insects are everywhere and delicate spiders scuttle away from my feet, or climb across a flower. 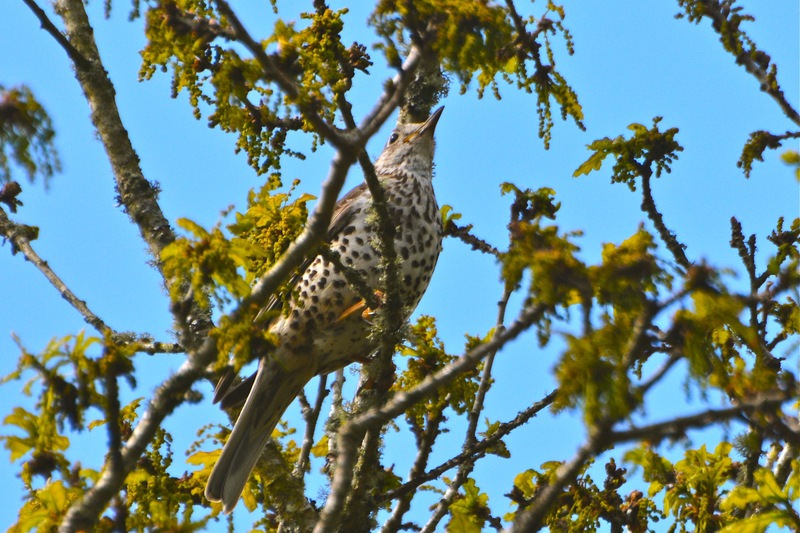 A Mistle Thrush sings above my head in an old oak tree and underneath the tree are some empty snail shells that something (perhaps the thrush) has been feasting on. 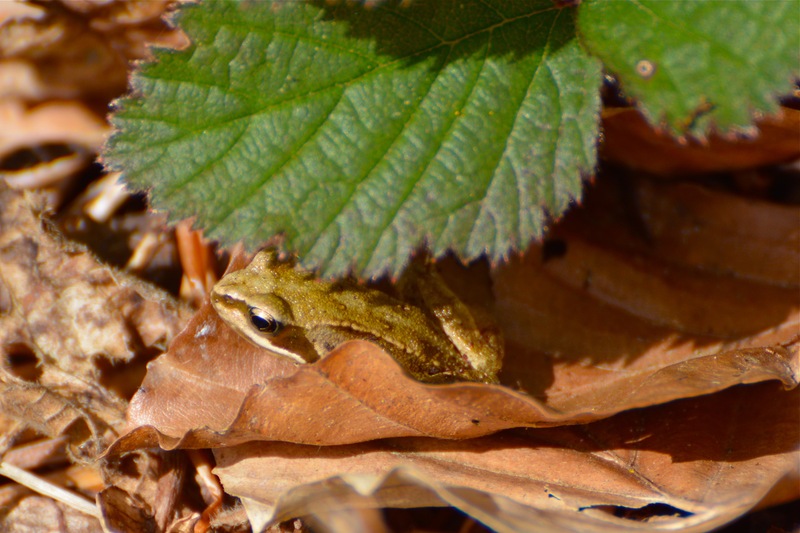 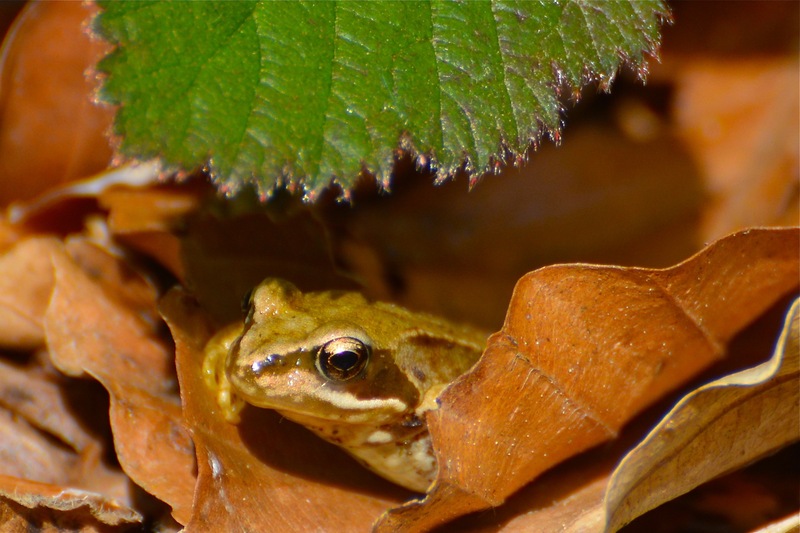 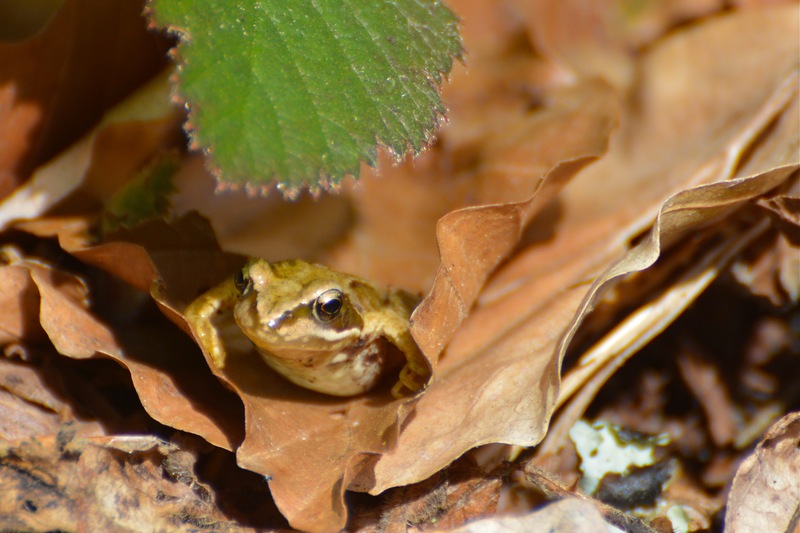 A slight movement and I see a tiny frog hiding under a leaf – a real jewel.